Even though the Oakland Athletics won the AL West last season, team owner, Lou Wolff, has not let the champagne bottles distort his goal of moving the team out of Oakland and into the South Bay. While there has only been one team that has changed cities in nearly 40 years, the move makes sense for both the Oakland Athletics and the City of San Jose. The Oakland A’s have been struggling with a fan base that just doesn’t seem to want to turn out to games. Since the Barry Zito days (2005), the team has had yearly attendance in the bottom five of all MLB teams every year and was dead last in two of those seasons. Last year, even though the team came from behind to clinch the ALDS on the last day of the season, they still had the fourth worst attendance on the year, averaging only 20,000 fans per game. If we instead look at attendance percentage, the 2012 number looks pretty impressive at 60%. While this rating seems fairly high, the stadium is listed at only holding 35,000 people, with tarps blocking off an extra 20,000 seats that are usually full for Raiders games. Even though the relocation news is motivating the community to make awesome t-shirts and create buyer groups willing to commit to a downtown stadium, it doesn’t seem to have any effect on fan turn out. Unfortunately, the A’s simply can’t afford to stay in Oakland if turnout remains this low. The timing makes sense as well, since the team is in need of a new stadium. 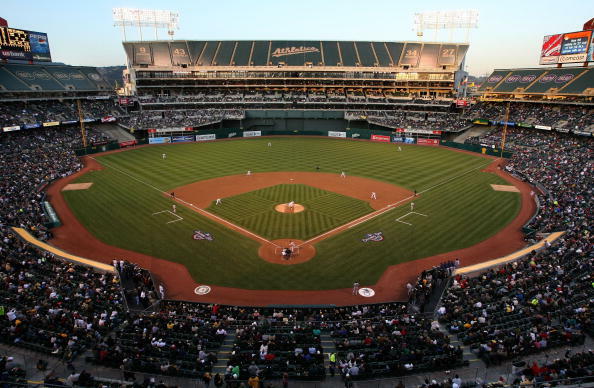 Oakland Coliseum is considered one of the worst stadiums in the MLB, alongside Tropicana Field. Even Bud agrees with this statement. This concrete behemoth is the last multi-purpose stadium left in the United States, and the Mt. Davis facelift it received in 1996, turned the Coliseum into a football stadium that baseball teams play in. Instead of making a new Coliseum in Oakland, which would commit them to the area and obligate them to the taxpayers (if it were publicly funded), it makes more sense for the A’s to move now, so they can begin to develop and invest in their new community. Mt. Davis is above the Center Field wall. Economically, it makes the most sense for the A’s to move to San Jose. There is no doubt that the team would do wonders for the San Jose economy, reports indicate a $2.9 billion impact over 30 years. This type of money would make any city excited over the possibility of a MLB team moving within their lines. Additionally, the economic benefit to the A’s, although not as large, will surely do wonders for the competitiveness of the team. A move to San Jose would eliminate the team’s eligibility for revenue sharing dollars, which in recent seasons has been around $30 million. Yet, many expect the team to make millions more from ticket sales, concessions, and luxury seats, leaving the A’s in a far better position. This increased revenue will roll over into increased wins, finally giving the A’s the money to lock down their talent instead of shipping them to the Yankees. Thus it becomes clear that a move to San Jose would expand on the recent resurgence found in the A’s organization last season and should be the favorite option for the team in the future. If it doesn’t work out, they can always change their name to the San Jose Athletics of Oakland. My colleague makes some good points about the low turnout of fans in recent seasons. Without fans a team cannot pay its players enough to be competitive. Additionally, without many fans, it is hard to attract players to your team. That being said, in the years since 2005, the A’s have had only three winning seasons: 2005, 2006 and 2012. It takes a special kind of person to support a team when they have a culture of losing so Oaklanders can be forgiven if they are not buying tickets every night to watch a below .500 team. 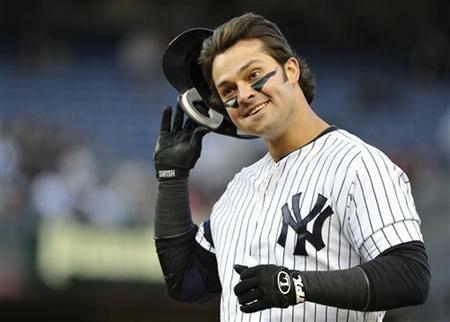 But in the 2012 season, the A’s played well and made the playoffs on a remarkable run, and what happened? The fans showed up and the A’s had their highest yearly attendance in 5 years. It’s no coincidence that in ’05, ’06, and ’12, the A’s averaged 1.92 million people per year, while in their losing seasons they averaged 1.57 million. If you play well, they will come. The way that this debate has drawn out for so many years shows a few things. One, the Giants territorial claim has merit and the commissioner is serious about upholding those rights. And two, though San Jose may be a good place to put a team financially, members of the Oakland community are serious about keeping the A’s. The idea of “territory” might seem silly to some, but the San Jose Giants have been around since 1988 and have built up a following. They have won 6 class-A league titles in that span and helped to develop more than one hundred big league players. The Giants are serious about keeping San Jose as part of their territory in the same way that the Red Sox would be adamant about blocking an expansion team in Connecticut. It will be interesting to see if the fans show up for the 2013 season. Coming off a good year that did a lot to build up Oakland pride as well as returning fan favorites like Coco Crisp and Grant Balfour should help boost attendance. But there is only so much of an argument you can make for staying if fans don’t show. It will also be up to business leaders in the Oakland community to come together to put a plan for a new stadium or a renovation of the Coliseum and the surrounding area that shows investment in the community and seriousness about keeping the team around. There is opportunity for all in a new stadium in Oakland, but if Wolff has already made up his mind about leaving he may not see it. So, what do you think? Should the A’s stay put or move to greener (and golder) pastures? Vote and leave your comments below. I definitely didn’t post this to the poll’s comments!! Every story about this situation makes Oakland’s leadership look incompetent and unwilling to make an actual stadium plan. For that reason alone, the A’s will almost certainly move, and I think they can get the proportion of owners that they need to back them (more revenue for a team means more revenue for everyone). While it would be preferable for them to stay in Oakland, I don’t have too strong of an allegiance to the actual city, as long as they stay in the Bay Area. Ultimately, this issue just needs to be resolved. No more waffling, please.